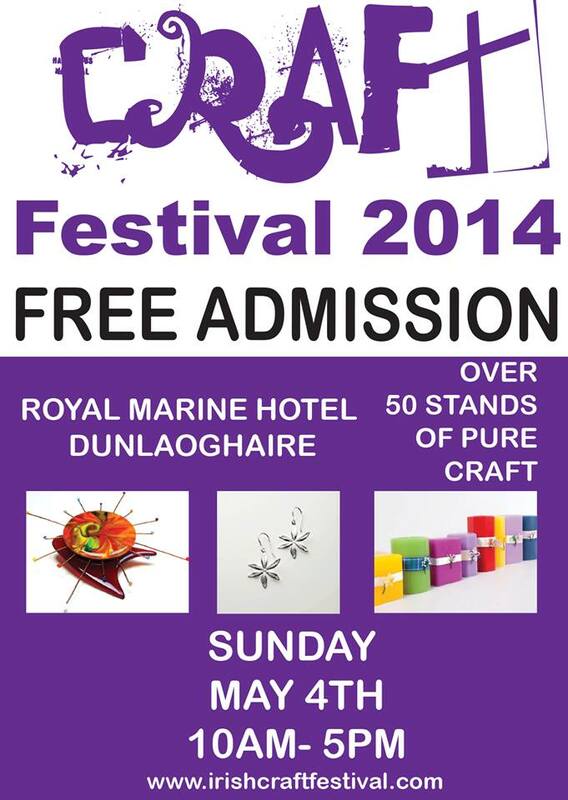 The Craft Festival - Sunday 4th May - DunLaoghaire, Co Dublin - All Welcome! Over 50 stands of hand-picked quality, great priced products. Come and meet the makers, it costs nothing to look!! Raffle in aid of charity: AWARE , 1st prize 16gb Tablet!!! Check out the website for a taste of the festival! !